Due to a delivery delay by our supplier we’ve switched to a new Shaker and we’ve updated our delivery Terms. 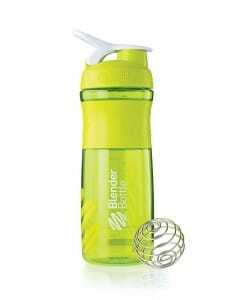 The Shakers BPA-and Phthlalate-free plastic offers superior durability and clarity, without sacrificing safety. And thanks to odor-resistant technology, you’ll enjoy your BERTRAND without tasting last week’s shake. Rubber overmolding on both the lid and the SportGrip™ offers a firm hold, when you’re shaking up your BERTRAND. The patented BlenderBall wire whisk is the secret behind the ProStak’s power. Add your BERTRAND, drop in the BlenderBall, and shake. The BlenderBall whips around inside the bottle, mixing your BERTRAND to a smooth consistency, every time.